The Dharmawangsa is a high end boutique hotel, known to host diplomatic guests and distinguished business travellers, as well as celebrities. The hotel's steep association with Indonesian heritage starts the moment guests arrive at the elaborate wooden furnished lobby, to the hallways where a live gamelan artist would normally be playing the instrument, the iconic Indonesian dishes served at the restaurants and up until the rooms (my personal favourite is the duplex room, which is entirely furnished in beautifully aged solid teak. A visit to The Dharmawangsa, even just to have lunch there, always makes me feel like an important person the second I stepped past the gate. This time round, I paid a visit to have lunch at The Dharmawangsa's iconic Jakarta Restaurant, headed by Executive Chef Vindex Tengker. Chef Vindex is also a member of the culinary experts selected by the Ministry of Tourism & Creative Economy, Republic of Indonesia, to curate the 30 icons of Indonesian cuisine (Ikon Kuliner Traditional Indonesia - IKTI), such as Nasi Tumpeng, Rawon Surabaya, Gado-Gado Jakarta, Sate Ayam Madura. The good news is, some of these 30 icons could be found at Jakarta Restaurant. 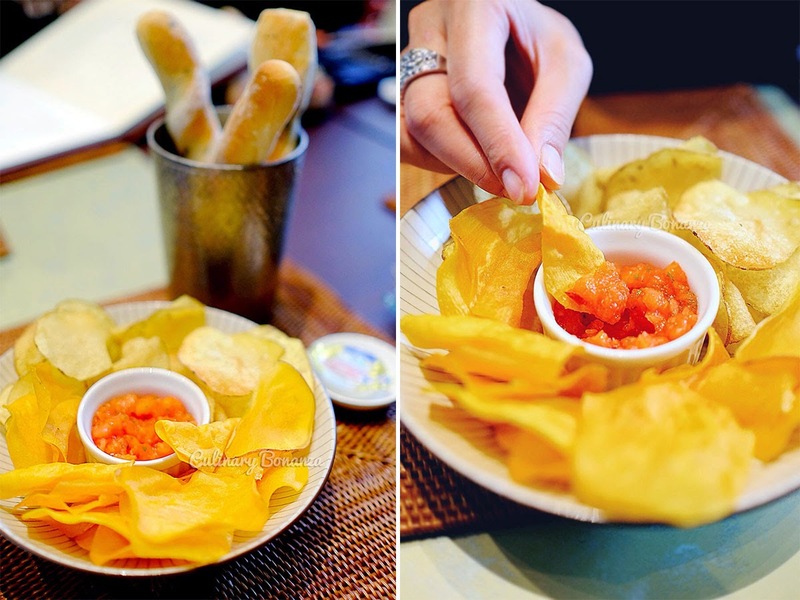 Besides the asian and Indonesian classics, there are actually other western fares as well, such as pasta, salad, steak, some grilled seafood from starters to main course and of course, there is dessert. I would say that you could choose any of the items on the menu, but it would be quite a waste if you do not try the Indonesian dishes when dining here. Vietnamese Salmon Roll - smoked salmon, lettuce, carrot, mint leaves wrapped in Vietnamese rice paper. Might I say this is the posh version of the traditional Vietnamese fresh spring rolls? You could say there's only thick and juicy salmon in the filling, but there are actually other ingredients inside it. For sashimi lovers, this is definitely a delightful starter. Iga Panggang Madu - grilled short rib honey black pepper sauce served with jasmine rice. This is a fine & tender grilled short rib, it came on the table still sizzling and the portion is quite huge! Each pieces are perfectly well seasoned with the honey black pepper sauce. 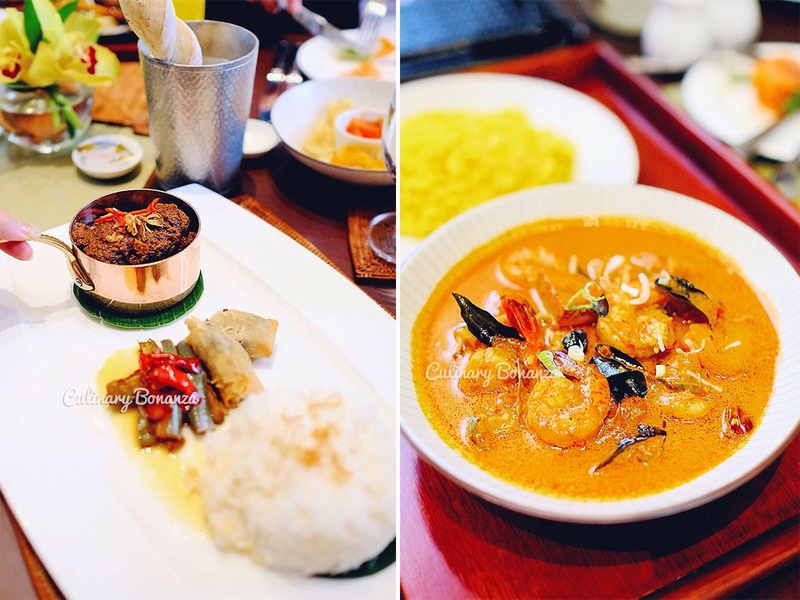 Acehnese Prawn Curry - prawn, eggplant & potato in rich coconut broth with pratha bread or yellow basmati rice. I tried the gravy and it was deliciously rich, but I did not try the prawn (not a fan of prawn haha). 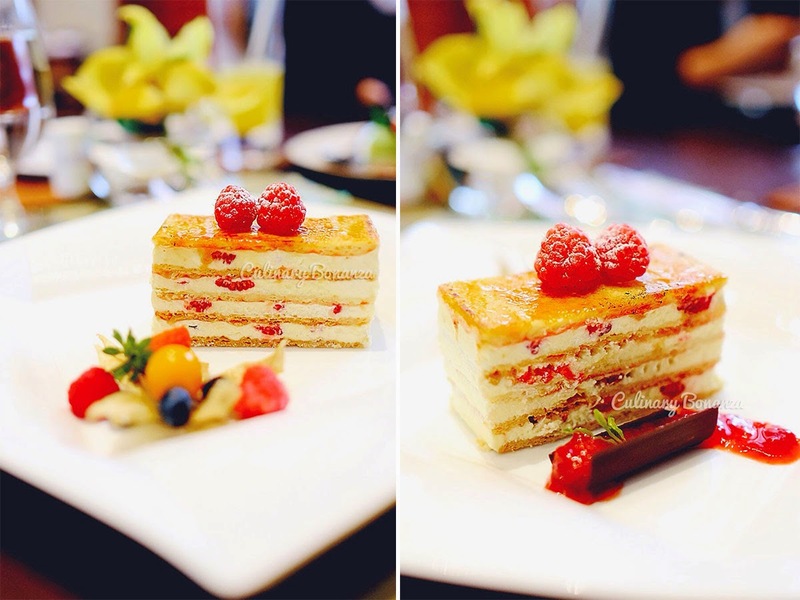 Signature Raspberry Mille Feuille - One of the all-time best-selling cake from the Cake Shop at The Dharmawangsa, can also be enjoyed by the slice at Jakarta Restaurant. Pandan Srikaya - screwpine custard with sticky rice, jackfruit compote and gula melaka. If you were to introduce Indonesian dessert to a first timer, this would certainly be a great starting point.